Finally, the trifecta! Kunekune pigs have arrived at the Family Farm. And that means I can finally say that this is the summer of three little pigs! 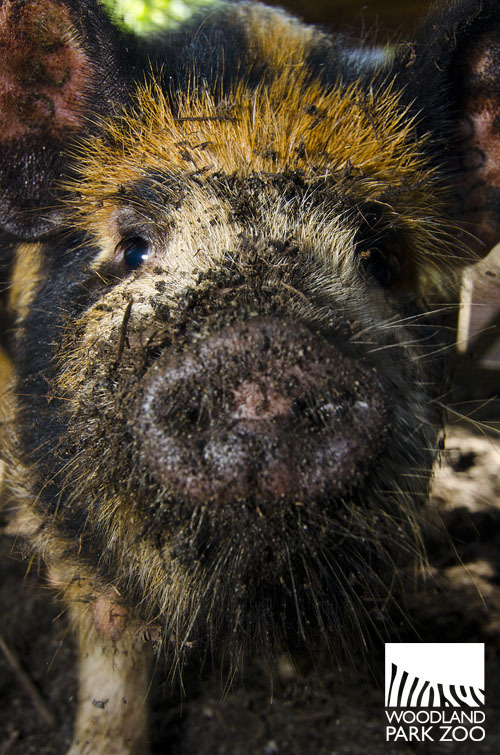 Unlike the two wild pig species that debuted at the zoo this May—the Visayan warty pig and African warthog—the kunekune is a domestic species, albeit a rare one, native to New Zealand. 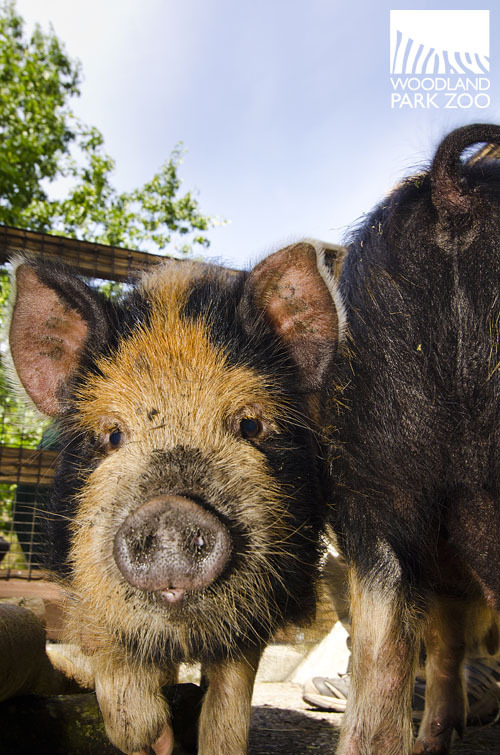 Let me guess: you’re wondering how to pronounce kunekune. Try this: “KOO-KNEE, KOO-KNEE.” The word kunekune means “fat and round” in the Māori language, which isn’t a stretch when you see these little guys. 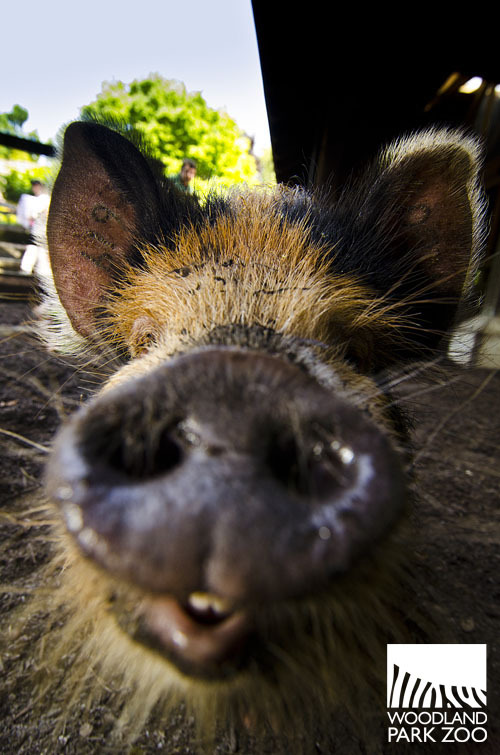 You’ll have no trouble spotting the pigs, whose mottled spots and constant snorting draw plenty of attention in the farm. The two pigs are 5-month-old brothers, Baxter and Barkley—they’ll turn 6 months old on July 3. Kunekunes are recognizable by their signature short snouts. 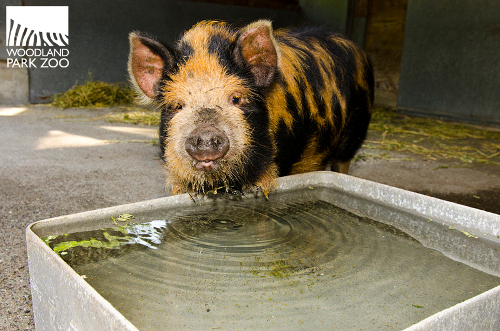 Their snouts are so short, they practically dip their whole faces in water just to slurp up a drink. They also can have wattles hanging from either side of their throat, fleshy protuberances like those we see on domestic goats. 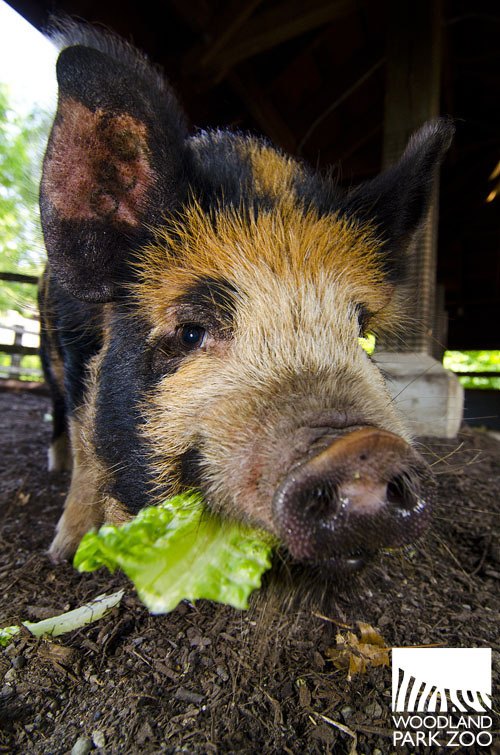 What’s a typical day in the life of a kunekune pig? Root around in the dirt. 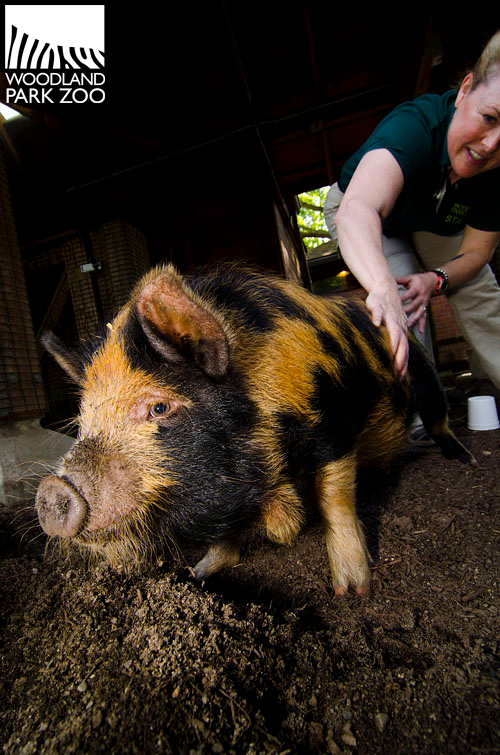 Get a good belly scratch from the zookeeper before cuddling up for another nap. 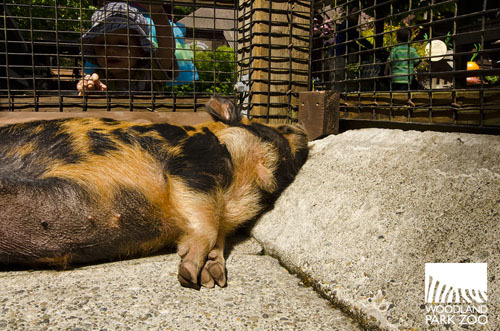 But don’t let all that lazing around fool you—these are smart pigs. Couple their intelligence with the interest and affection they show towards their zookeepers, and we have a promising sign that these pigs will be very receptive to training. Training animals helps us keep them mentally stimulated and healthy, allowing us to move and handle them more easily and safely, even when they need a checkup from our veterinarian. 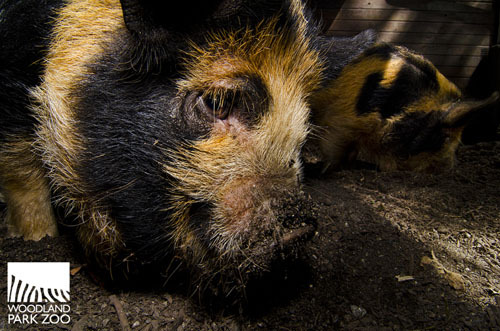 The pigs are calling—come on down and check out the kunekunes, Visayan warty pigs and African warthogs! All kunekune photos by Ryan Hawk/Woodland Park Zoo. Great article and photos! 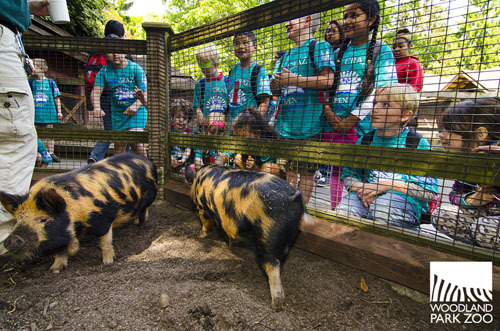 We look forward to our next trip to the zoo and seeing the pigs! Wonderful article and informational layout. Keep up the good work crews at Woodland!